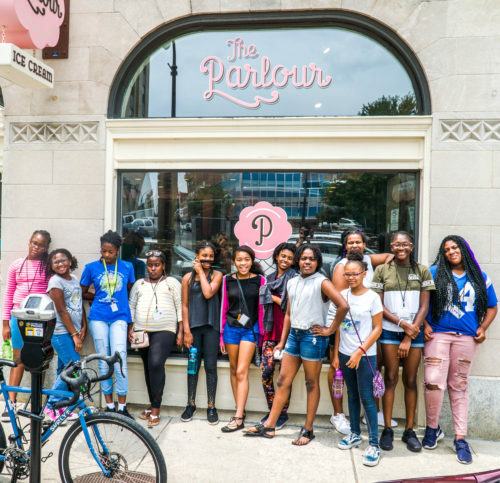 “C Block” was a five-day program from July 16 – 20, 2018 that educated, informed, and inspired young women in the fields of coding, cyber security, cryptography and blockchain technology. This week-long intensive and intentional program incorporated guest speakers, both local and virtual, and carries the theme of creating conscious, thoughtful, aware citizens. 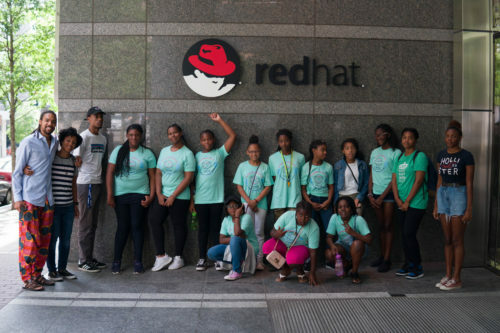 The program impacted our community and addressed the need for diversity and women in emerging technologies such as coding and cybersecurity. View full photo album here! 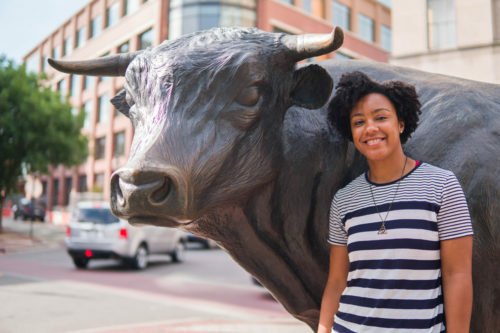 Ashley Ellis-Pierce is an Application Engineer at GitHub. 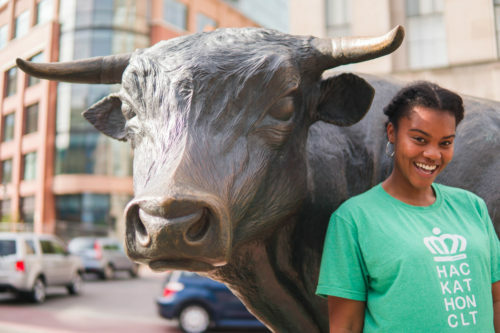 She enjoys helping others learn to code and is the lead organizer for RailsBridge Triangle and a mentor for Code the Dream, an organization that helps minority and immigrant youth break into tech. Her favorite programming languages are Ruby and Elixir. Nesha Brently is a Full-Stack Developer with a background in MIS and Supply Chain. I tutor because it opens up an opportunity for genuine and effective knowledge transfer. I’m challenged to provide solutions for learners to improve their overall value in society. 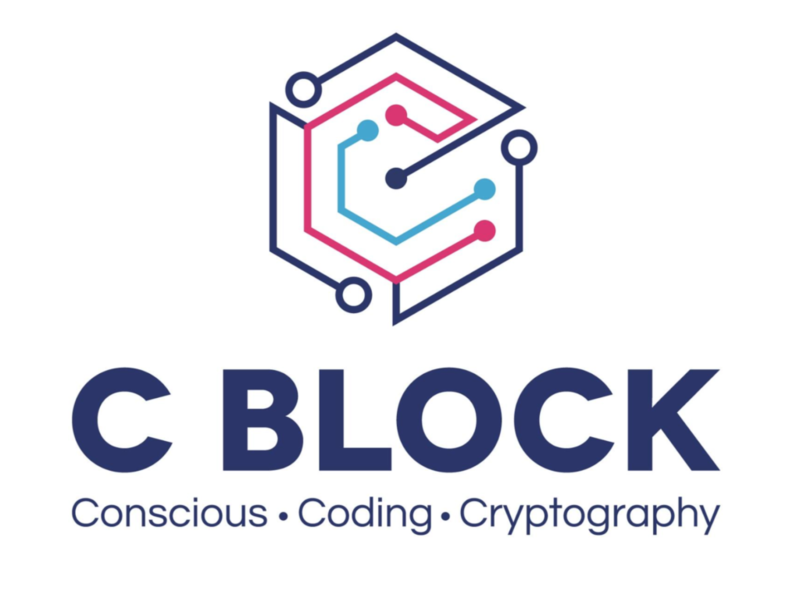 C-Block is a collaboration between Blackspace and Project Bitmobile and was organized in collaboration with Jen Hill. Her goal is to contribute to the field of blockchain technology by informing, inspiring, and empowering those typically marginalized in tech spaces. If you have questions, please email Jen Hill at campcblock@gmail.com or call her at 919-864-0293. 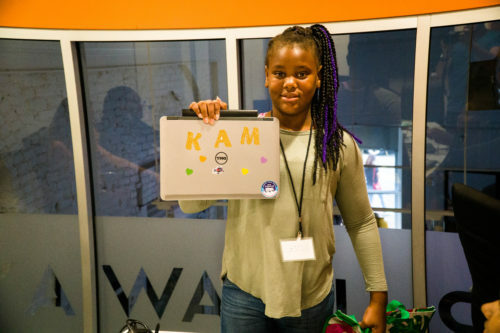 Blackspace developed a 3D-printing conscious code workshop with the Homeschoolers of Color from the Piedmont of North Carolina. Luke Demarest is a visual artist and computer programmer. He has an active artist practice and is Blackspace’s 3D-printing program manager. Luke is a member of the HacDC 3D-printing group and is an active supporter of free culture and free software. Pierce Freelon is a musician, professor and social entrepreneur. the co-founder of the Emmy-award winning PBS web-series Beat Making Lab. and is the front-man of the jazz/hip hop quartet The Beast. We aimed to develop a dialog about what it means to be a human and a citizen in the changing landscape of our city, state, and country. This workshop was a humanities-centric introduction to 3D-printing and computer programming, serving as a gateway to computer literacy. 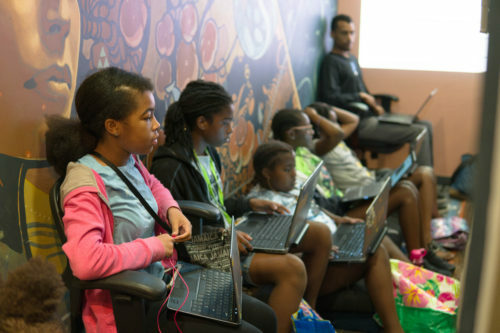 The result was afronauts that have a deeper understanding of their individuality, their commonality and a new ability to think creatively through code.The workshop culminated in an exhibition of 3D printed sculptures by students at The Carrack Modern Art in downtown Durham, North Carolina. Highlights of the Conscious Code wokeshop are pictured below. 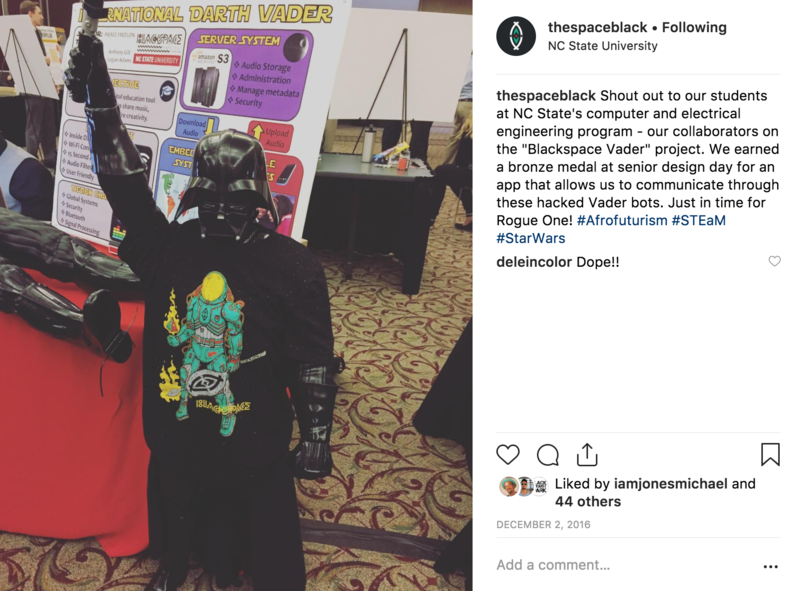 In 2016, Blackspace teamed up with NC State’s Electrical and Computer Engineering Design Center on a conscious coding program. 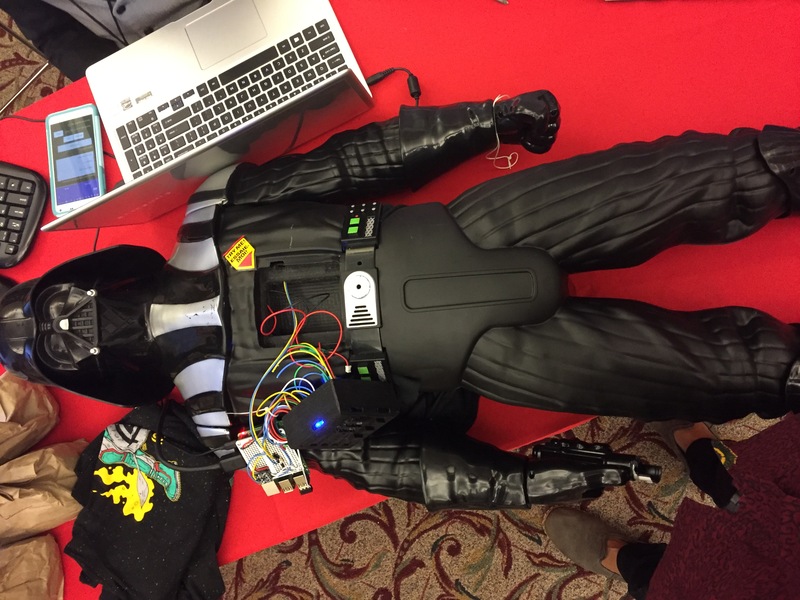 We basically hacked into a 3-foot Darth Vader. 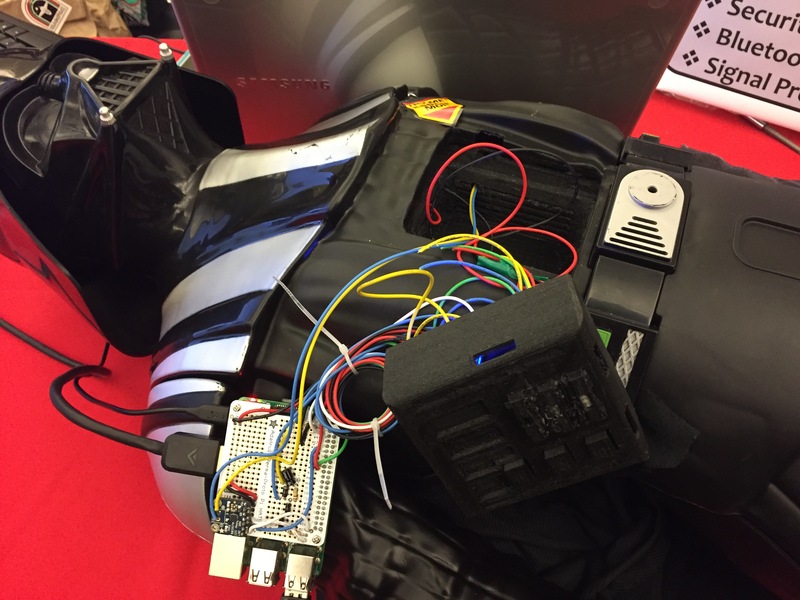 We developed a mobile app, which allowed us to pitch down our voices to James Earl Jones-level and speak from our hacked Vader bot. We debuted Blackspace Vader at Moogfest that summer, during a beat making and coding demo. 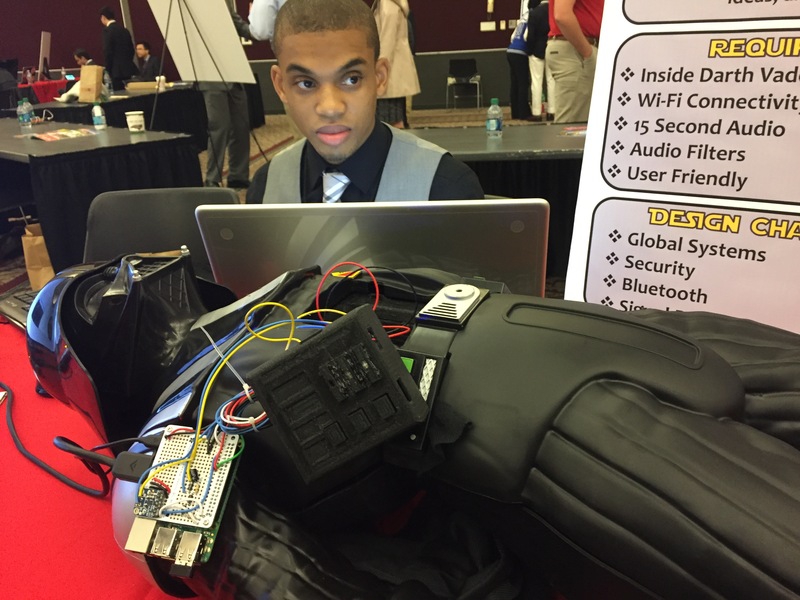 Basically, we took youth from Durham, to a galaxy far, far away with the help of some NC State students. 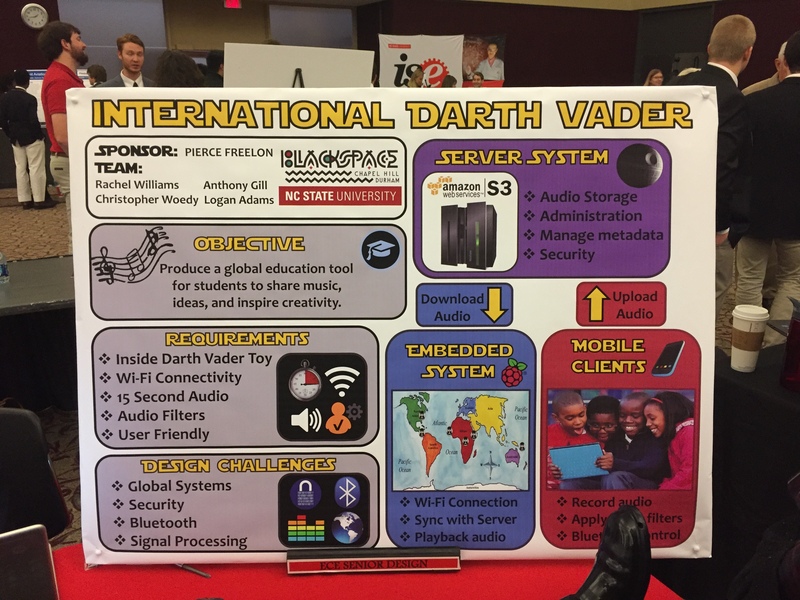 Our app was designed to connect Blackspace kids with youth around the world, so we could share music and ideas through these Darth-vader robots. 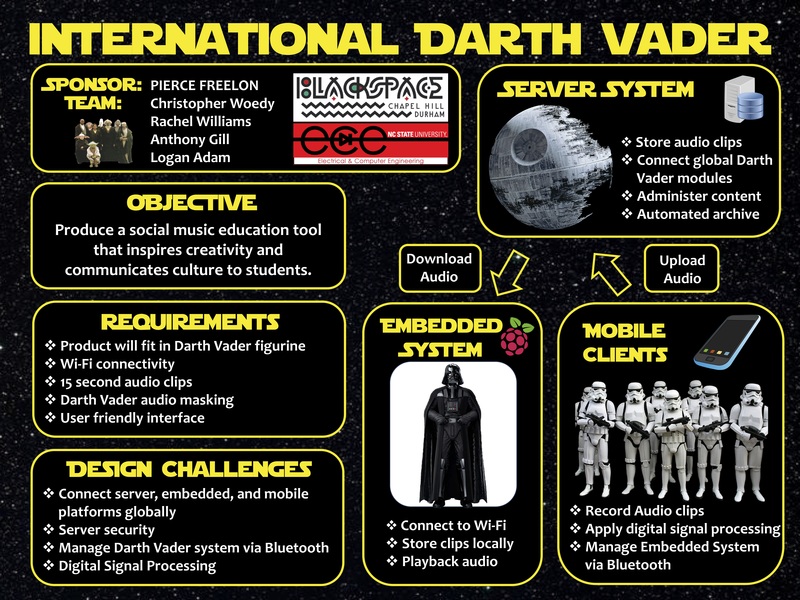 The International Darth Vader is a global education tool for students to share music, ideas, and inspire creativity. This product is designed to increase communication between international classrooms and break the isolation of creativity. It will help inspire students to take part in media education and creation, which in turn will help them develop and succeed. Click here to read our design specs. Meet the design team! 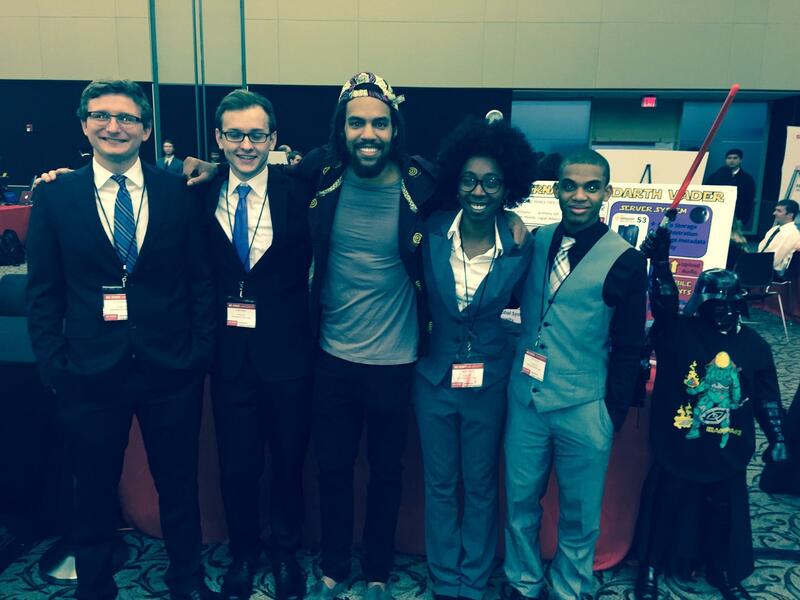 Design Sponsor Pierce Freelon, Technical Mentor Bobby Compton, Design Team: Christopher Woedy, Rachel Williams, Logan Adams and Anthony Gill. Darth Vader himself is on the far right.